Sitting down for long periods is not good for you. Indeed, recent research suggests that many of our modern health problems are linked to the fact that we sit down far too long. The human body is made to move and many people these days are almost entirely static. Studies have shown that when you stand up to work, you tend to move more. “Standing desks” have been linked to improving health. However, there are times of the day when you need to sit – or you just need to rest your legs for a short while. So, what you need is a desk that can go from sitting to standing. A complete desk that can do this can be expensive. So, one solution is to use a “sit-stand” device that converts to allow you to work either sitting or standing. This Startech Sit-Stand Workstation is what I use in my office. For much of the day, I stand up. When I want to sit down, I just press the lever on the side and the pneumatic arm lowers the contraption down to the desk. It means that within a couple of seconds my screen, keyboard and mouse can be available for me sitting down, or standing up. 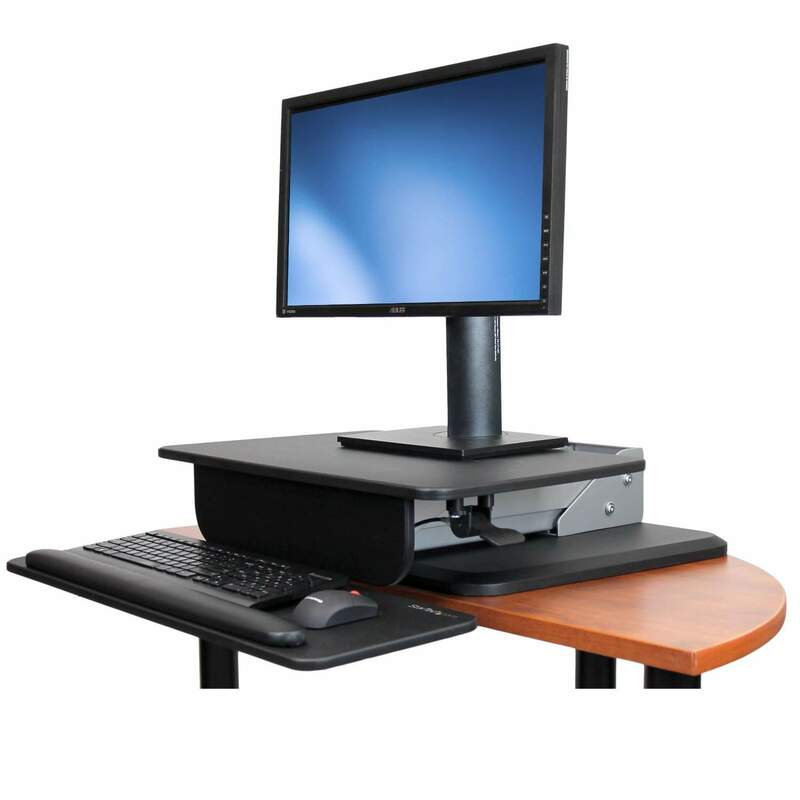 The Sit-Stand Workstation is also about a quarter of the price of the cheapest sit-stand desks. Touch screens change behaviour The act of reaching out and touching a screen affects choices made by users in ways not achieved with mouse and keyboard.